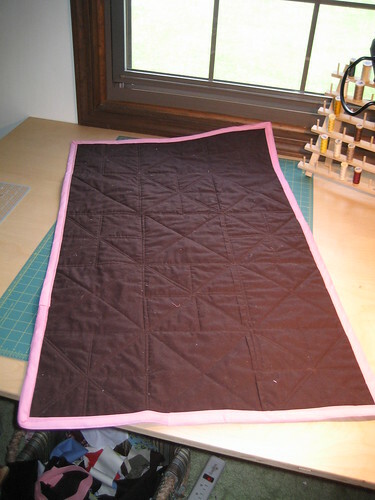 The chocolate kisses quilt has just come out of the dryer, and it’s struck me I didn’t measure it before washing – I want to know how much it shrunk! But alas. All I can see is shrinkage has occurred. 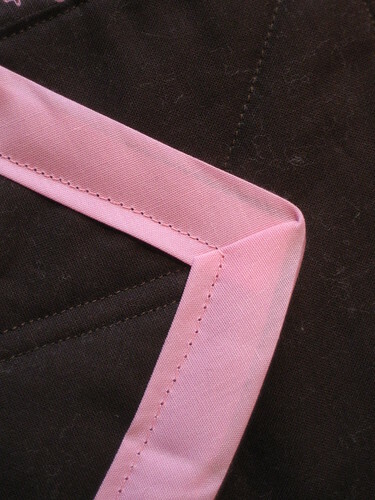 I’m not sure if I like the effect or not… I’ll have to compare with pre-washed fabrics at some point. The binding is an absolute joke – ignore it. I managed to get the walking foot wrangled into place, and I was practicing with it. At this point, I’m not sure if it’s a help or a hindrance, as it wants to drift and the stitch size seems inconsistent. And it’s loud, holy cow. 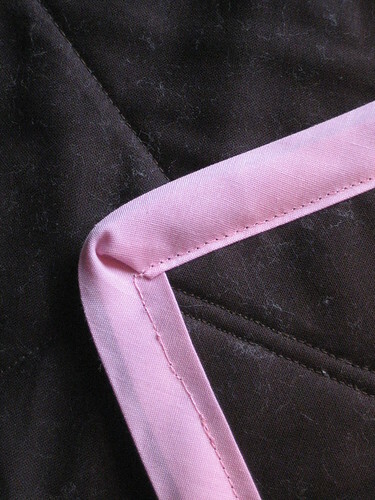 So, pretend the stitching on the binding is at uniform distances from the edge of the binding tape, ok? Ok. The finished size is about 24″ x 38″ – pretty tiny. The points of some of the centers of the pinwheels ragged a bit in the wash – not sure if that’s expected, or if it’s because I did something wrong, but meh, it’s there now. You can see the walking foot’s handiwork here – what’s with the random stitch lengths and jumping around? Not fun. 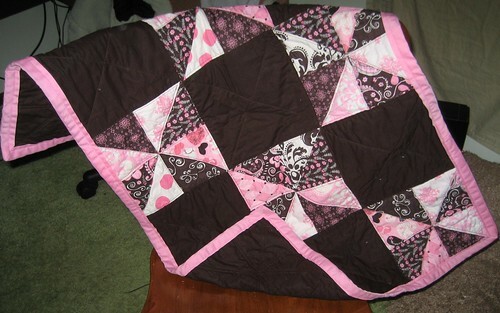 Last night, I was shivering under the covers and realized I need to make one for our bed. Our giant, king-sized bed. Oh boy. Not the most awesome light, sorry. 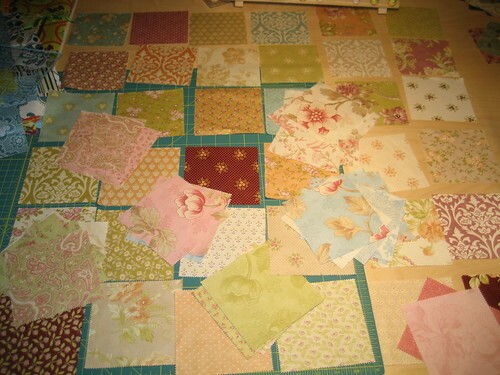 I’ve cut up some Kona Ivory for the in-between blocks, and I think I can make it work. But for a king-size? Man. That’s a lot of damn cutting. I do so hate the cutting, and I’d totally be willing to pay for Kona solids in charm packs, man. I don’t think anyone makes pre-cut packages out of the same fabric, though… seems like the packs are always the entire colorway. Maybe I’ll just turn up the heat and finish the seaside and Hello Betty projects first.